I’m a food blogger: a sporadic one, I’ll grant you, but a food blogger nonetheless. 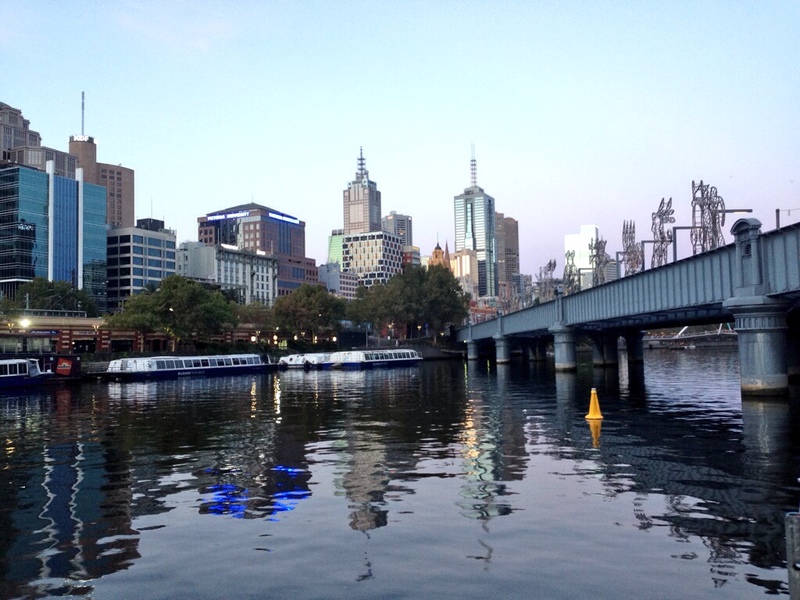 So why did this year’s Melbourne Food and Wine Festival leave me cold? Some of the initiatives sound great, for example Lauren Wambach’s Rickshaw Run in Footscray, or the wonderful SpeakEasy Cocktail Tram (I wonder how many people dressed up this year?). But I feel many fall a bit flat, sounding great on a website but ending up a bit disappointing in their execution. 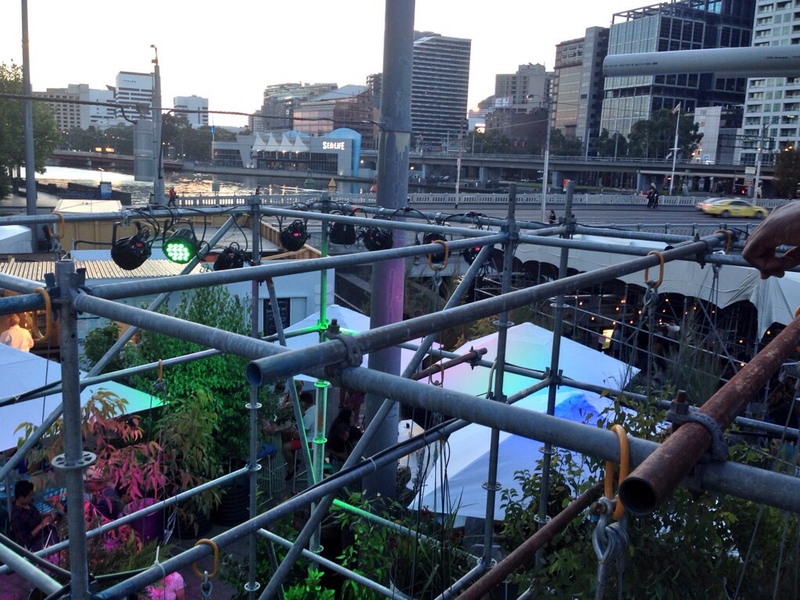 One recent case in point was the Taste of Melbourne event that took place in Albert Park last November. We headed down there late on Sunday morning, cancelling our usual breakfast plans to spend a sunny day grazing amongst the stalls. What we got were hour-long waits for tiny portions of food from a dozen or so trendy restaurants, and the rest of the food stalls banned from selling ready-to-eat food so that the named few got the revenue. Our only spoils were a couple of sticky beef buns and a soft shell crab tortilla to share from The Smith. They cost $20 and barely made up a couple of mouthfuls of food each. We left after two hours, stomachs still rumbling. And so it was that, in the spirit of eternal optimism, we headed down to The Immersery last night, expecting to spend the evening sampling some good food and wine. Southbank was buzzing with crowds enjoying the Moomba festival, the Food and Wine festival and one of the last balmy evenings of summer. We found our way to the floating bar and settled in. A bustling riverside meeting place and home to Victoria’s hottest food, wine and cocktails. Celebrate the wonder of water at the Festival’s spectacular hub anchored to the Yarra River in Queensbridge Square; a bustling riverside meeting place and home to Victoria’s most inspiring food, wine and cocktails over 17 days. The website also promised “fine drops from Victorian wineries including Seppelt, Coldstream Hills and T’Gallant”. What we got was a wine list that featured only the three wineries mentioned above, all of which undoubtedly offer great quality wines, but the narrow choice was disappointing. There was a couple of cocktails of the day if you were interested, and a handful of beers and ciders. The food offerings were two tasting plates, both costing $30 and neither looking larger than a starter. We surreptitiously inspected what our fellow diners were eating, decided we were all much more hungry than that, and toddled off to find some proper food on Southbank. Pity, because the river views were perfect. Thankfully there are other, much more entertaining, experiences to try in this great foodie city, like the growing fleet of food trucks, or the Footscray Food Blog/Consider The Sauce annual picnic and Westies awards, so all is not lost. The Melbourne Food and Wine Festival has its place in terms of tourism and industry publicity, but I have concluded that it’s often better to keep it local and personal, rather than rely too much on these huge commercial festivals to deliver on what is, after all, a passion for most and a labour of love for many.